I’m going up the Country, baby do you want to go? 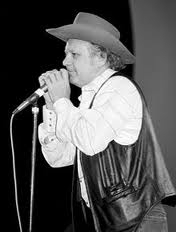 Charlie McCoy was born in West Virginia USA, in 1941 and moved to Miami, Florida as a boy. By his teens, Charlie had taught himself to play drums, guitar, harmonica and bass guitar. Realising he had an artisitic future, and with a growing passion for American Country music, he made his was to Nashville. At first Charlie tried to make it as a country guitarist, but without success. So he went out as a drummer and then as a bass player. Once again he was unsuccessful. Then a friend suggested he focussed on his harmonica playing. Charlie never looked back. 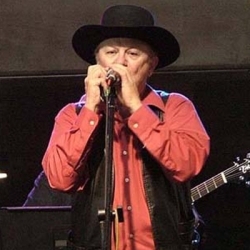 He soon became the first call harmonica player for studio recordings and band work, building an impressive list of associates from Elvis Presley and Johnny Cash to Paul Simon, Bob Dylan and Ringo Starr. Charlie’s recording of Stone Fox Chase was used as the theme music for The Old Grey Whistle Test UK TV programme in the 1970s and 1980s. The sound of his harp playing fired up a whole new generation of harmonica players in Great Britain. It is the speed with which Charlie executes his Country licks that continues to amaze everyone. 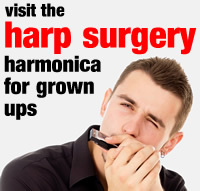 He uses a special lateral jaw-swinging technique to move around his harps and he is probably the finest Country harmonica player around.